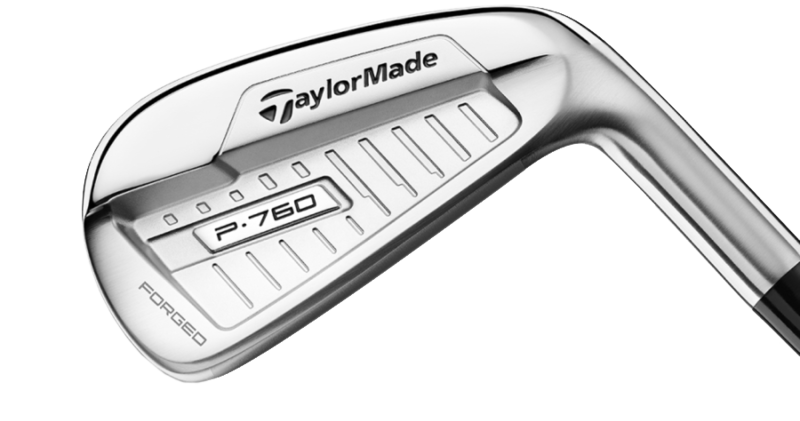 With a smaller profile and thinner top line than the P790, the better player will gravitate towards TaylorMade’s new P760 iron. The new P760 iron offers the same great feel and technology as the P790 in a smaller more classic looking package. The new leading edge bevel on the P760 allows for more consistent turf interaction especially with players that have a steeper attack angle. Overall, it looks like TaylorMade has hit another home run with it’s latest addition to the P Series iron family by adding yet another option to accommodate a wide range golfers with varying skill level. TaylorMade may not be presenting their new products at the PGA Show in January, but that doesn’t mean they’re holding back on their new releases. This latest set of irons from the manufacturer comes forged out of 1025 carbon steel while providing us with the “exceptional feel” we’re all searching for. The new P760’s are a perfect balance between the foam filled speed of the P90’s combined with the feel and cosmetically appealing features of the P750’s and P770’s. This new P760 irons set is made with a thin SUS630 steel face that enables you to increase ball speeds and to provide more distance and forgiveness. The SpeedFoam inside the club is injected from the hole on the toe end of the club head and is first inserted as a liquid and then as it fills the club cavity, it solidifies. In the image below, you can see the cutaway view of a P760 iron to see how the injection process works. TaylorMade says these babies are made for Power and Precision while also providing a progressive structure similar to the Tour-shaped irons you see used by the pros. The P760’s are designed to reduce bounce and improve turf interaction at the same time, while still providing a firm structure. You can find irons 3 through Attack Wedge in this TaylorMade set which is available now at Cool Clubs. Book your Cool Clubs fitting for the TaylorMade P760 Irons.